There is still time to request funding (up to $250) for well-being-related programming at Middlebury College. 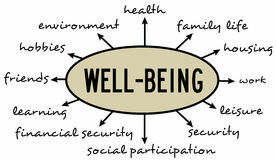 Both employees and students are eligible to receive funding from the Well-being Committee to support their work. The Committee is especially interested in projects which address one or more of the well-being components described at www.middlebury.edu/well-being . Priority will be given to projects which increase community capacities to address well-being components (e.g. a training for a group to gain a new skill set to use on campus is preferable over a one-time workshop/class experience). Proposal forms may be found here.